I had a random idea. So I implemented it. Running any part, of any business, is difficult and unrewarding. Everyone thinks they can do it better, with their back-seat driving and hand-waving advice. Most can't comprehend the pressure we put on ourselves. Or the financial strain. Or the emotional stress it puts on our personal and professional relationships. Or the responsibility to the VCs that trust you, and the employees that rely on you. So, I created these icons as a fun little pick-me-up that you can award to yourself, for this most lonely of journeys. 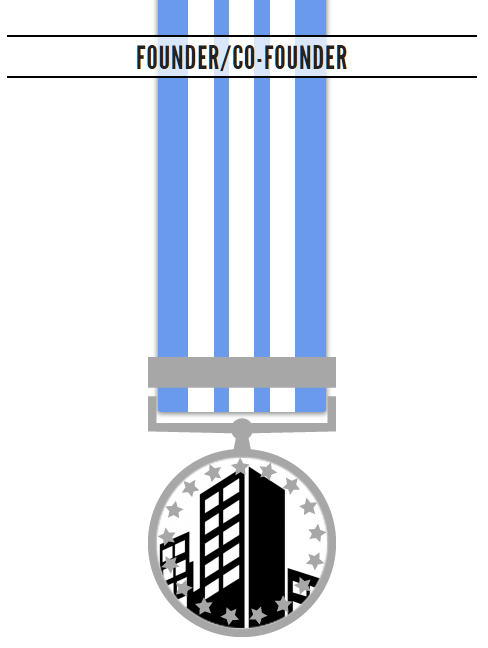 Awarded for taking that leap of faith into the unknown. 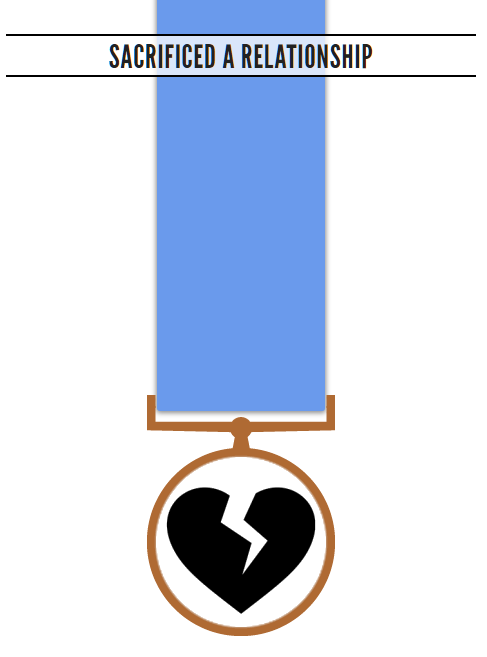 Awarded for trying again after ones first "proper" startup failed. 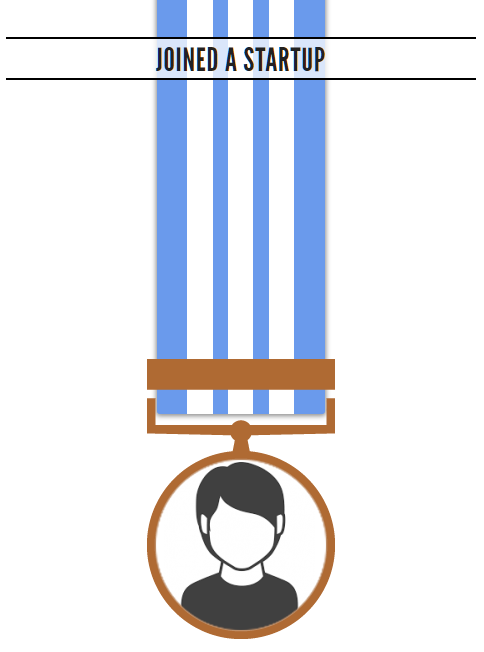 It's more important than than the founder award, because it shows you're not a quitter, and are prepared to accept your own failings, and fix them in a second attempt. 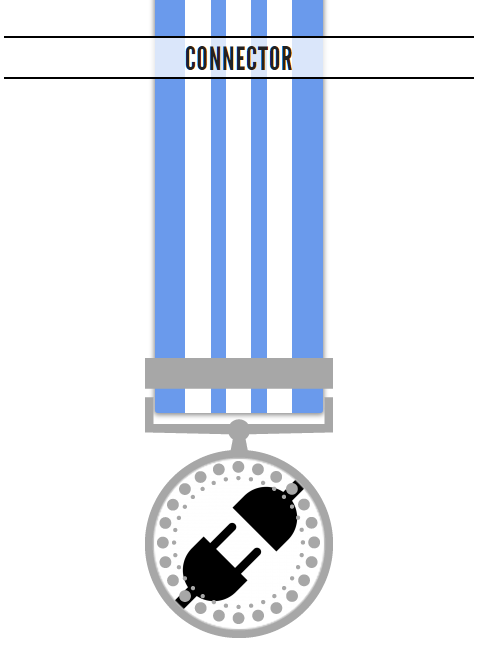 This is awarded with a golden because anyone can try something once. To do it a second time, when you know how painful is likely to be, warrants something extra. 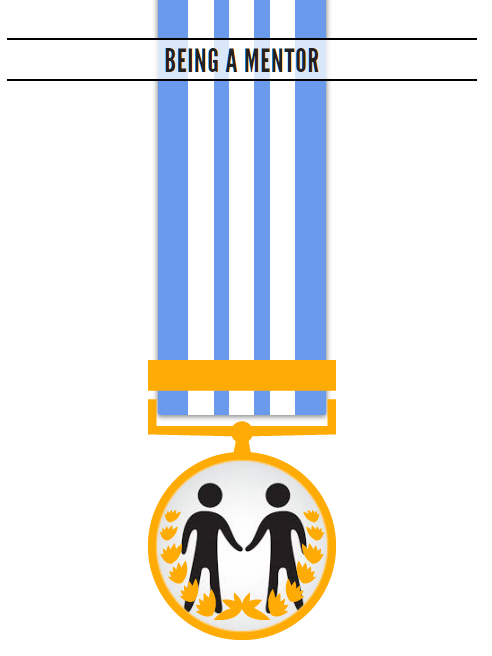 Awarded for taking the risk in believing in someone, with the aim of making a product or service that will make life better for someone else. Any exit is a good thing. Even if the financial side results in only a single dollar, if shows that you followed through with your idea until someone else was prepared to adopt it. I have intentionally used silver here, instead of gold, not solely to reference coins but to show that money isn't the most important element in a start-up. Even if the company fell apart, you achieved more than everybody that stopped at the idea. Therefore, you often learn more from your failures than your successes, so this is worth a gold medal, whilst a success earns just a silver. 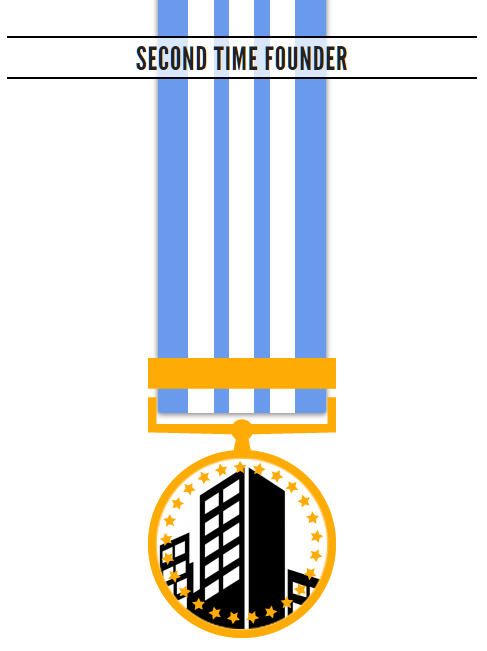 When you have introduced people, companies, or lost ideas to their rightful homes, without financial incentive, you may collect this badge. Relationships fail. Sometimes this is due to direct, or indirect, effect of a start-up. We should hold this as a memorial to those times, rather than a celebration. We all have scars. 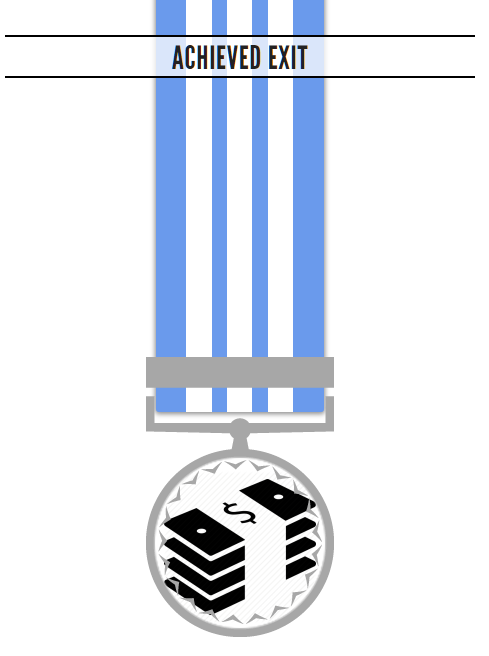 The simple medal fixing, and the lack of stripes on the ribbon, indicate a plain contemplative mood. Was it really worth that personal sacrifice? One of the most important things you, as an entrepreneur, can do is pass your knowledge forward. Help others. Thus the gold medal status. 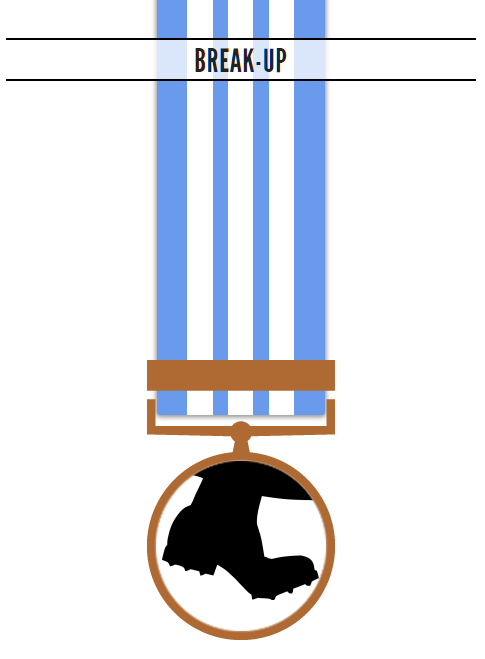 You will notice that I have not created any medals for the amount of money you earn, or titles held, or anything like that. This is because they're meaningless. All that matters is creating a business that helps others thrive, and achieve their goals. Perhaps that's why my startups have all had a strong thread of education. 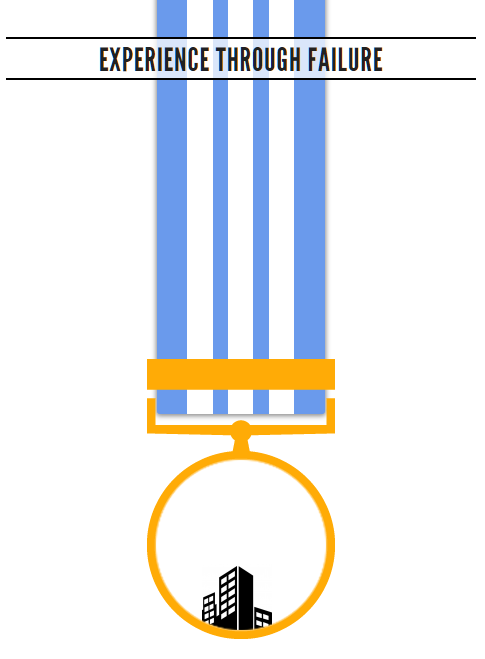 From a design viewpoint, there are intentionally three medals of each gold, silver, and bronze. Also, there are categories for personal development and business acumen.